Get-Lottery.com - Latvia - Vikinglotto current jackpot: € 4.2. The next draw will happen on 01/05/2019. This lotto has 2 review(s). The Vikinglotto, Europe’s original transnational lottery and you can buy official tickets by selecting six main numbers from a guess range of 1-48 and an additional Viking number from a guess range of 1-8. Match all the numbers in the draw and you will win the Vikinglotto jackpot! Players can choose to play with regular one-time entry tickets or with systematic forms which produce all possible entry combinations with their selected numbers, increasing the chances of winning a prize. In order to win the Vikinglotto jackpot, match all six main numbers and the additional Viking number selected in the draw. 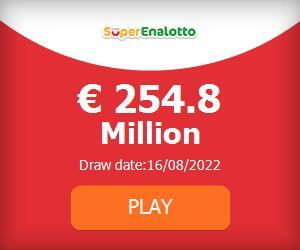 The average Vikinglotto jackpot is around €3 million. The Vikinglotto also offers seven secondary prize divisions. Match between three and six of the main numbers and you will win one of the secondary prizes. Match the Viking number as well and you will win even bigger prizes! Good lottery, my best result! Very old an trusted lottery in Baltic states and Scandi countries. As I remember est. in 1993.